Location of Fairview Heights in St. Clair County, Illinois. Fairview Heights is a city in St. Clair County, Illinois, United States. The population was 17,078 at the 2010 census. Fairview Heights is a dominant shopping center for Southwestern Illinois and includes numerous shopping plazas and the St. Clair Square mall. Fairview Heights is located at 38°35′38″N 89°59′48″W﻿ / ﻿38.593899°N 89.996649°W﻿ / 38.593899; -89.996649. According to the 2010 census, Fairview Heights has a total area of 11.497 square miles (29.78 km2), of which 11.42 square miles (29.58 km2) (or 99.33%) is land and 0.077 square miles (0.20 km2) (or 0.67%) is water. 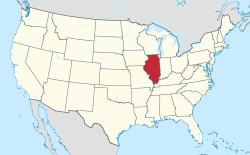 French Village, Illinois is an unincorporated community (Class Code U4) located immediately west of Fairview Heights at 38°36′01″N 90°03′00″W﻿ / ﻿38.600300°N 90.050100°W﻿ / 38.600300; -90.050100﻿ (French Village, Illinois). As of the census of 2000, there were 15,034 people, 6,026 households, and 4,206 families residing in the city. The population density was 1,348.6 people per square mile (520.6/km²). There were 6,310 housing units at an average density of 566.0 per square mile (218.5/km²). The racial makeup of the city was 78.40% White, 17.07% African American, 0.17% Native American, 2.14% Asian, 0.01% Pacific Islander, 0.73% from other races, and 1.49% from two or more races. Hispanic or Latino of any race were 1.92% of the population. There were 6,026 households out of which 29.3% had children under the age of 18 living with them, 55.4% were married couples living together, 10.9% had a female householder with no husband present, and 30.2% were non-families. 26.6% of all households were made up of individuals and 10.4% had someone living alone who was 65 years of age or older. The average household size was 2.48 and the average family size was 3.00. In the city, the population was spread out with 23.4% under the age of 18, 7.3% from 18 to 24, 29.1% from 25 to 44, 23.8% from 45 to 64, and 16.4% who were 65 years of age or older. The median age was 39 years. For every 100 females age 18 and over, there were 89.2 males. The median income for a household in the city was $49,131, and the median income for a family was $56,161. Males had a median income of $38,287 versus $27,218 for females. The per capita income for the city was $22,614. About 4.2% of families and 5.9% of the population were below the poverty line, including 8.7% of those under age 18 and 6.1% of those age 65 or over. Three elementary/middle school districts serve Fairview Heights: Grant-Illini District 110 covers the west side of the community, and Pontiac William Holliday School District 105 covers the east side of town. 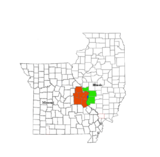 A small portion on the northeast corner of the community is covered by O'Fallon District 90. Trade colleges in Fairview Heights, IL include the Regency Beauty Institute and Vatterott College. This page was last edited on 29 December 2018, at 15:20 (UTC).